IS YOUR SECOND TOE LONGER THAN YOUR OTHER TOES? YOU MIGHT WANT TO READ THIS! For more than 5000 years, China and India practice foot reading. People in these countries believe the feet act as a mirror to the rest of the body. If there are any lumps, calluses or pain in the feet, they indicate problems elsewhere. For instance, the arches are linked to the spine, meaning a fallen arch indicates a back problem. Also, it is believed the mind and body are linked and physical problems can be caused by personality. Jane Sheehan, a reflexologist is certain that feet show everything about people, from their digestive system function and even the state of their relationships. By looking at your feet you can see if you are a wild and adventurous person, or desire stability, order and harmony in life. People whose big toe is much longer that other toes are smart and creative. They always have a clever solution to the problems. These people see things from different perspectives, but also they may have troubles focusing and don’t see projects through. 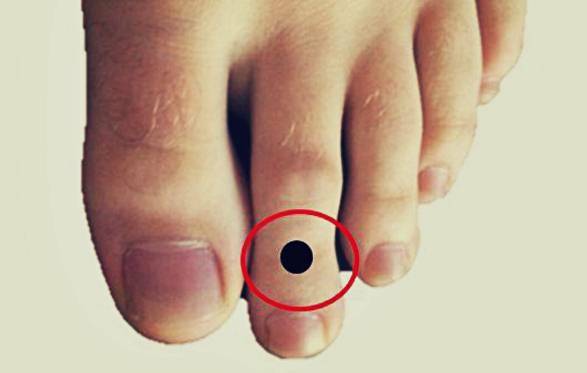 On the other side, if your big toe is small, it means that you can do many things at the same moment. You delegate effectively and are efficient. You use your charisma to influence others with your ideas. People with long second toe are qualitative leaders. They are dynamic and creative, and can be bossy. However, people with smaller second toe are not a pushover, but it means they desire harmony. If the third toe is relatively long, it means those people are energetic and ingenious, particularly at work. These people look for perfection and can achieve much with determination and energy. The negative thing is that their work can make them forget about love, family and fun. Moreover, people with short third toe enjoy life. They like to relax and not get worked up. People having long, straight fourth toe tells their family is important to them. If this toe is curled, it means you have an unhappy relationship with loved ones. These people are excellent listeners and nurturers, but will be unhappy within the family. Also, it is hard for them to cut themselves off from other people’s problems. You need to relax and don’t worry about other people’s problems. People with short fourth toe focus elsewhere and family and relationships are not that important to them. People with small little toes have childlike behavior. They don’t like responsibilities and can be easily bored. Thus, they look for fun distractions. Also, these people are fun, easy-going and witty. People who can wiggle their little toe separately from their fourth toe, they are impulsive, adventurous and charming. People who can’t wiggle their little toe, like routine, predictability and loyalty. If each of your toes is longer than the one before, creating a neat line, it means you are a methodical, precise and practical. You always complete what you start. Besides being a perfect employee, you are a good and loyal friend too. People with wide feet have solid worker feet and are always on the go. They’re happiest when they are busy, but also they should try to make time for reflection, and a little peace and calm in their life. These people like to be spoiled. They don’t want to bother with all the hard work if someone else can finish the work for them. Moreover, they’ve got a strong aesthetic sense and need beauty around them. These people’s homes will be wonderful, no matter their income. People with high arches are very independent and self-sufficient. They need a lot of time on their own and can be accused of being anti-social. People with low or average arches want the company of others and are sociable. They want to enjoy good time and to ensure that others are having a great time, too. This post was republished from peacefuloflife.com. You can find the original post here. AMAZING FRIEINDSHIP OF A HUMAN AND A PENGUIN!